Where else can you get exclusive access to top artists in the entertainment industry from the comfort of your home? Join us for the third 3rd Edition of the ArtStation Masterclasses in association with the Gnomon School of VFX. During this online learning event, you’ll be able to participate in a 2 week Q&A with 10 all-star instructors and have unlimited access to over 20 hours of lectures for 2 months! 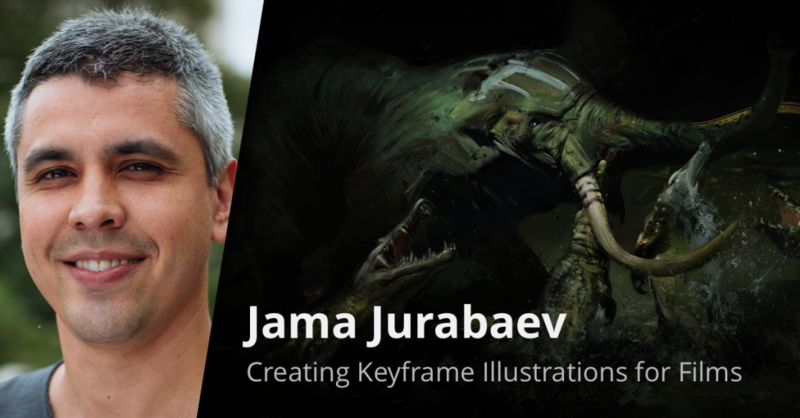 Masterclass Instructor Jama Jurabaev,started out as an Aerospace Engineer but went on to follow a career in concept art at Lucasfilm in the UK. 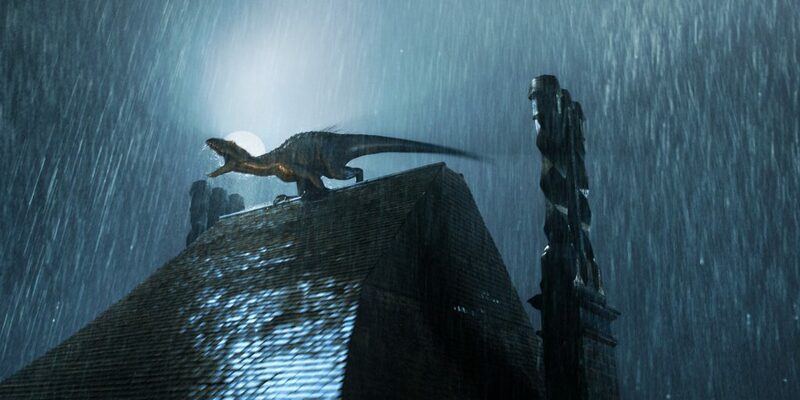 Recently, he’s worked on some pretty huge titles including Ready Player One, StarWars, Jurassic World 2 and the live-action remake of Beauty and the Beast. In this interview, he discusses creating immersive concept art, skills he’s learned on the job and what you’ll learn in his course in the upcoming ArtStation Masterclasses! 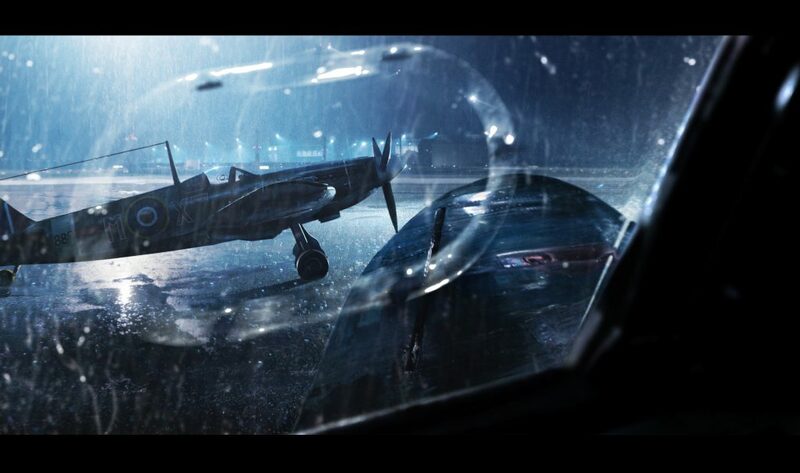 Usually, keyframe illustrations set the mood and the visual direction of the movie and are done at a very quick pace. That is why it is very important to use tools and approach that will allow you to address the feedback as quickly as possible. In his course, Jama will be sharing the tools and techniques he uses in his workflow to help show you how you can be more efficient in your work. How did you transition from Aerospace Engineering to concept art? Oh, that was a long and bumpy road! Since I was I little kid, I’ve loved playing with my airplane model kits. I used to fill out my sketchbooks with airplane sketches and actually had a dream to be flying one of those at some point. Around the same time, I fell in love with computer games. I’ve spent endless nights playing DOOM and got totally convinced that this is what I want to do in my life. I started studying Computer Engineering first. It took me a year and a half to realize that coding is probably not my strongest side so I went back to my other passion and switched over to Aerospace Engineering. It was a lot of fun but it was so heavy in math and physics instead of design, which is what I enjoyed the most. But, it was a great experience overall and I think my engineering background helps me today in the way I approach concept art. I would admit that I wasn’t the best student and was under a lot of pressure that university puts on you where they tell you that you will never become successful if your grades are not great. So being in my mid 20’s, I had a full package of self-doubt, insecurities and uncertainty of my own future. It was a scary time but just around that time I saw a few painting videos on the internet and one of them was Ryan Church’s aircraft painting tutorial that he did for Gnomon. I was shocked and excited to see that you can actually do it as a real job! That’s when I decided that I want to do this for living. I didn’t care about getting payed or getting hired, I just knew I needed to put a lot of hours and keep being consistent and I would get somewhere. Obviously, to sustain my living I had a daily job as a graphic designer and would spend my spare time drawing, painting and trying to get into industry. Eventually, I got there. It took around 5 years, but I did it! Efficiency. I’m all about it. How can I put together a series of cinematic keyframes under a tight deadline? By being efficient with your time, the way you do it and the tools you use. Sometimes you can do it just by drawing on a piece of paper and sometimes you need to do a lot of 3D or even learn a new software to be able to do it. In my masterclass I’ll guide students throughout my step-by-step approach and explain the reasons behind my choices. 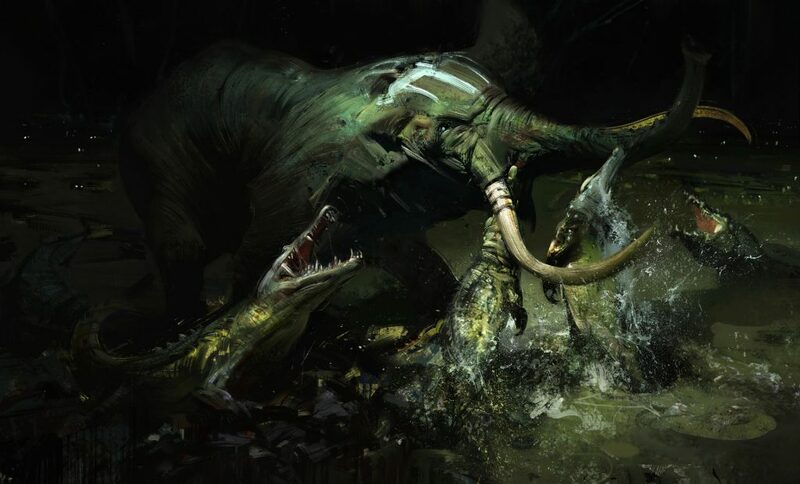 You were one of the first people who started posting these insane 360° paintings on ArtStation. Can you tell us a bit about how you started doing them and share any takeaways you have from these experiments? I’ve started experimenting with 360 just around the same time I started doing some VR stuff. 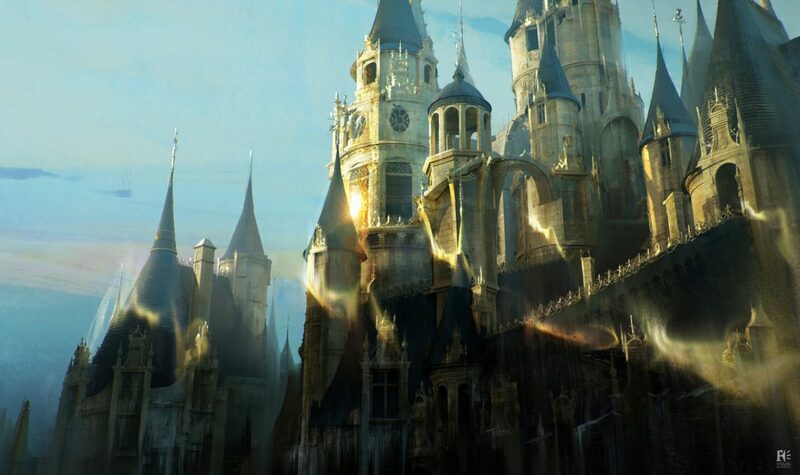 I’ve always been interested in this idea of creating immersive concept art. It is still in very early days but I can totally see concept designers creating immersive concepts in the future where you can put your VR or AR headset and look around. Apart from just being more immersive, it also allows to describe scale so much better. For instance, if I’m designing a vehicle there is a massive difference between seeing this vehicle on a monitor or being able to actually site inside this vehicle in virtual space. I believe this technology will a great addition to all other amazing tools we have and open so many new possibilities of doing things in a very close future. Tell us about one of the most valuable skills you’ve learned on the job. I guess one of the most valuable skills I got is the ability to work with the feedback. As a concept artist, you get to work with other artists, art directors, production designers, directors and as you work on the project you constantly get some sort of feedback from them. So, ability to get the feedback from them and translate it into your artwork is very important skill to have. It helps me a lot to stay focused on what matters and be more efficient with my time. Most of the time, artists get frustrated by a lot of changes coming from clients but most of the time there is not much you can do about it. What you can do is to work in a way that these changes stop discouraging you but become a creative challenge that actually is very satisfying most of the time. And in the end, it helps me a lot to establish a good connection with my clients, because they know that I’ll do my best to come up with a solution for any kind of tasks.